The Stanley Wedge Plus Spinnerbait was designed to emit more vibration and flash than any other spinnerbait on the market. The specially designed Wedge blades taper down in thickness, which allows them to thump as hard as a Colorado blade and still deliver the flash of a willow blade. 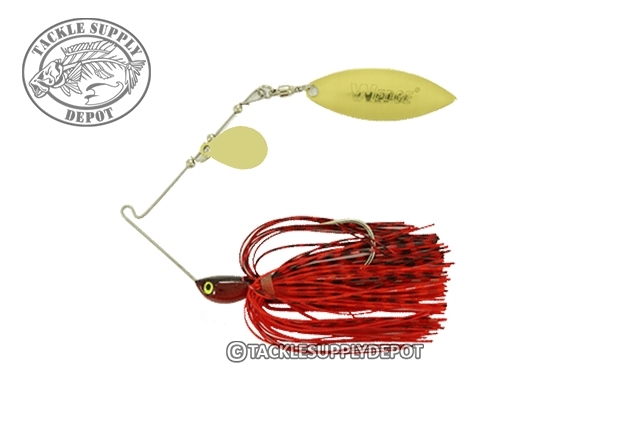 The Wedge Plus Spinnerbait also features a vibrashaft stainless wire, silky smooth ball bearing swivels and a realistic scale head with eyes paired with a live action silicone skirt.